I need help. You see, I can’t seem to find my Christmas spirit this year. I’m struggling to embrace the season. And now a panic attack is setting in … I mean, there are only 15 days left. When I think about how quickly time is flying by – wasn’t it just the first day of school? – fifteen days will come and go in the blink of an eye. Oh, how I wish Santa was real! I worry my lack of Christmas cheer is rubbing off on the kids. Neither one has created a holiday wish list for me yet. 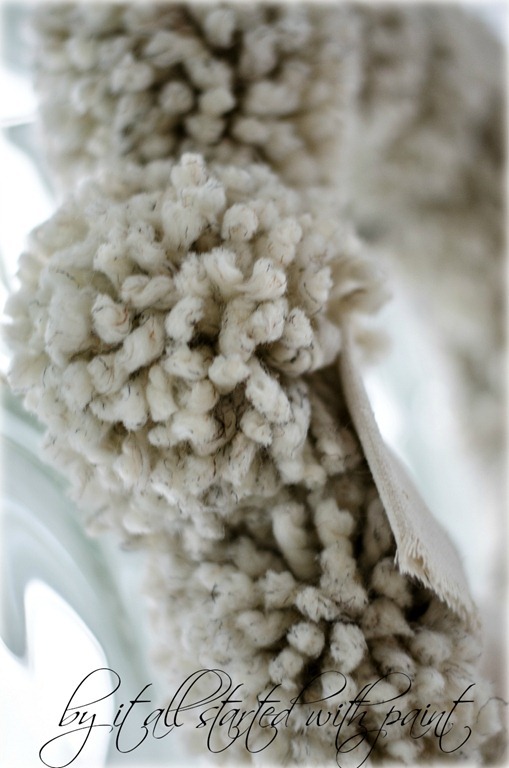 An Anthropologie tufted wool wreath knock-off. I started by wrapping a dollar store wreath with wool. The pom poms were made following this tutorial. The drop cloth bow was made following this tutorial. This is fantastic Linda! Seriously!! Hope you find your Christmas spirit soon! 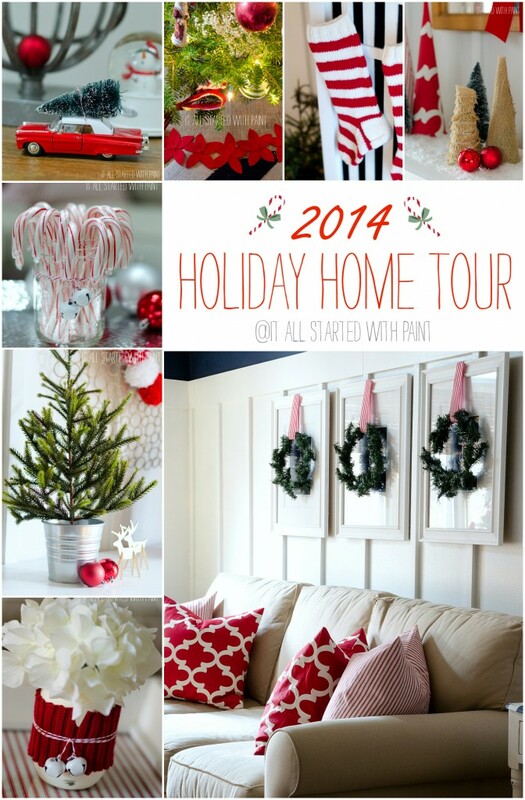 i love love love that wreath! it’s awesome! 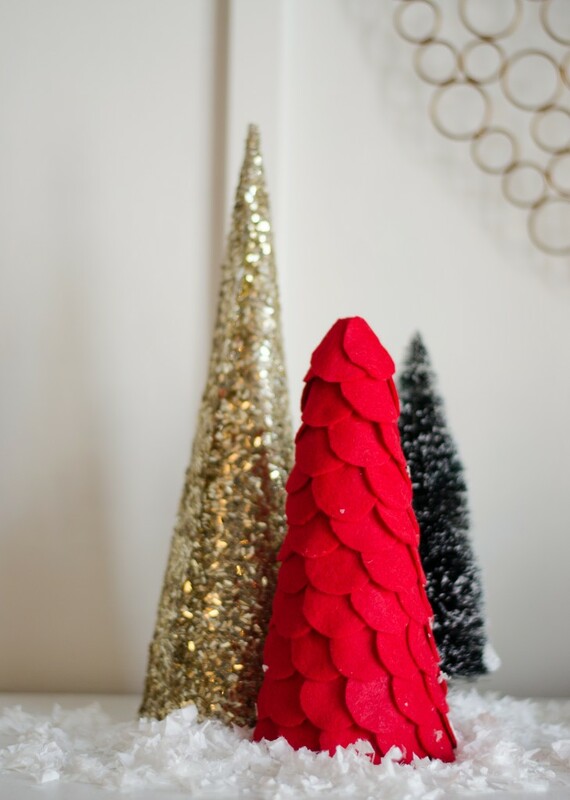 and i have enough spirit for both of us and frankly i say don’t be like all the other bloggers and don’t feel pressure from all the other bloggers- decorate if you want, but don’t if you dont feel it. there is nothing wrong with a nice simple christmas! Wowsa! That’s a stunner! This wreath and the Christmas tree will fill your home with Christmas joy! Take it easy! Sorry I had to laugh because I am working on the same wreath… but no I can’t make things simple. My pompoms are being cut, trimmed, and fluffed to look like balls of wool. ugh what was I thinking…. 10 assorted sized balls, 30 more to go… and there is “fluff” all over the carpet plus the dog was caught eating some of it. and christmas spirit? I’ll be honest i decorated for the family this year…. but its coming slowly. The more I let go of my self imposed expectations, the more it comes. But yeah the whole 15 days thing is freaking me out too… especially since the company i ordered my hubbies gift from informed me it could another 3 to 4 weeks before his present is even shipped as their shipment was delayed. sigh. so sit back, enjoy the day, and enjoy your family! From what i’ve seen your house already looks lovely!!! I have decided that Christmas mostly annoys me (for all kinds of reasons) and that’s OK. What is helping me is not focusing on Christmas or needing to feel a certain way about it. I do much better when I focus on the whole season of winter, and what I love about it. Because I do love things about winter. Throw up a few decorations, buy gifts you feel good about, make a few treats to eat, and let the rest go. You can make magic any time. It’s OK if you can’t make it on Dec. 25 (or any of the 15 days leading up to it). I am totally and completely in love with this. You should sell these in your Etsy! The best thing is that you can leave it up until spring too…I’m struggling with finding my Christmas spirit myself just a bit. I haven’t done our tree yet and I’m not sure I’m going to. We’ll see if I get to it. You know, some years are better than others. We all just do the best we can. I’m certain The Grinch will not win out over The Jolly Old Elf. That pompom wreath is one of the best i’ve seen this season! I love it – and I hope you find your Christmas spirit soon! I had mine on earlier but after going through my Grandmas funeral this past weekend mine has been waning. Must get back in gear soon! 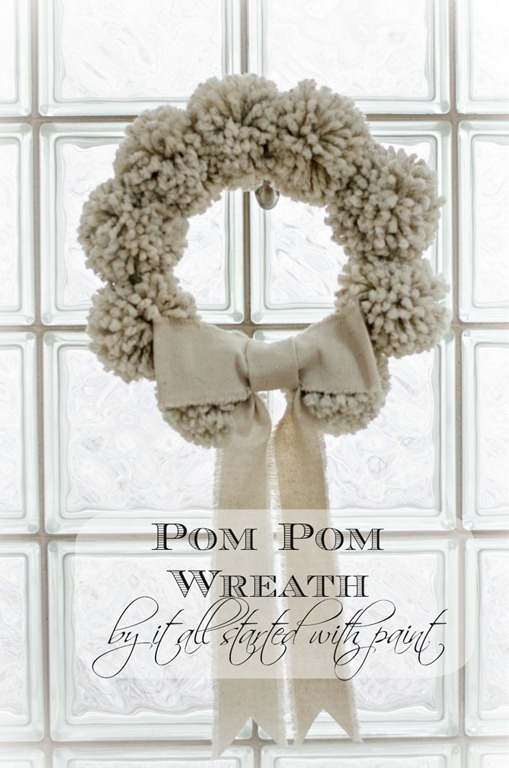 Your pom-pom wreath turned out just beautiful! It is hard to believe that Christmas is a mere 15 days away, I’m not ready at all. Here’s hoping that you find your Christmas spirit soon. It’s the shows. They would kill my spirit too. Bust out the Grinch, the real one. Not that lame Jim Cary attempt. And The Christmas Story… with the lamp and the tongue stuck to the pole. And then watch “When Harry Met Sally”. Then go shopping. I always have to go “find” Christmas somewhere. You’ll find it. And the wreath is awesome. Love it. HI Linda, I love your wreath and like it so much more than the Anthropologie original. I definitely want to give this a try. So sorry to hear you’re not feeling the spirit of the holidays. i can relate and understand because all the prep and work to make everything just right can be overwhelming. You should do what you feel and nothing more. When you fake it, it just defeats the purpose, don’t you think? Pinned the wreath and sending snow. Aw, you need a Christmas hug, Linda! I wrote a post on fancylittlethings.com last week about the spirit of season…it can be elusive this time of year! The wreath is fabulous… hoping you find your cheer soon! I absolutely love the yarn you chose for this. Love how the wreath turned out. I seriously like yours better! Well you’re not alone in your ‘lack of spirit’ I’m sure! The time really just fly by — seems like just yesterday I was wearing flip flops . . . sure wish I STILL was! I love your wreath — you did a great job on it — the yarn is perfect! I am not one to get all ‘gaga’ over Christmas but I try to enjoy the simple things of the season and not get overwhelmed with all of the “shoulds”, “must haves”, “must do’s”, etc. Right there with you….happens routinely to me so I don’t feel badly anymore! LOL my Grinchyness usually is the result of people here “LOVING” Christmas but not willing to do anything to make it happen…..that’s when this little Elf decides to watch Christmas movies and drink a glass of wine and enjoy herself a bit. Right now there is no mantel decor and only lights on the tree…but the mantel is not in my sight line when I’m watching movies and the tree looks really pretty in the dark with just the lights……Christmas in Connecticut is on……everything is just fine……you’ll get there…sounds like you have some willing helpers floating about! Merry Christmas! Love this little wreath! Thanks for the links to the tutorials. Don’t be so hard on yourself…..it isn’t about the external junk anyway! Amazing. Really amazing. Not only is that a beautiful wreath…your photography is off the charts. These look like they came out of a magazine. AND, I love your title/pinterest picture. You are impressing! The wreath is truly beautiful. I’m sorry to hear your heart’s not in it this year… you’ve been sounding kinda bummed lately and usually you’re so cheerful! If you need anything, I’m here for ya! You are the queen of the pom poms, I love it! Plus I love things that aren’t so red-and-green, know what I mean? The subtle texture of the yarn and poms is perfect, and hopefully can last til spring! Oh, and that wreath? ADORABLE! I love it. And it could work for more than just Christmas, since it is a nice neutral color! Hi Linda! The wreath is adorable. This is beautiful!! How large was the cardboard you used to make the pom poms? They seem larger than the ones for the pillow. I’ve got to try this! 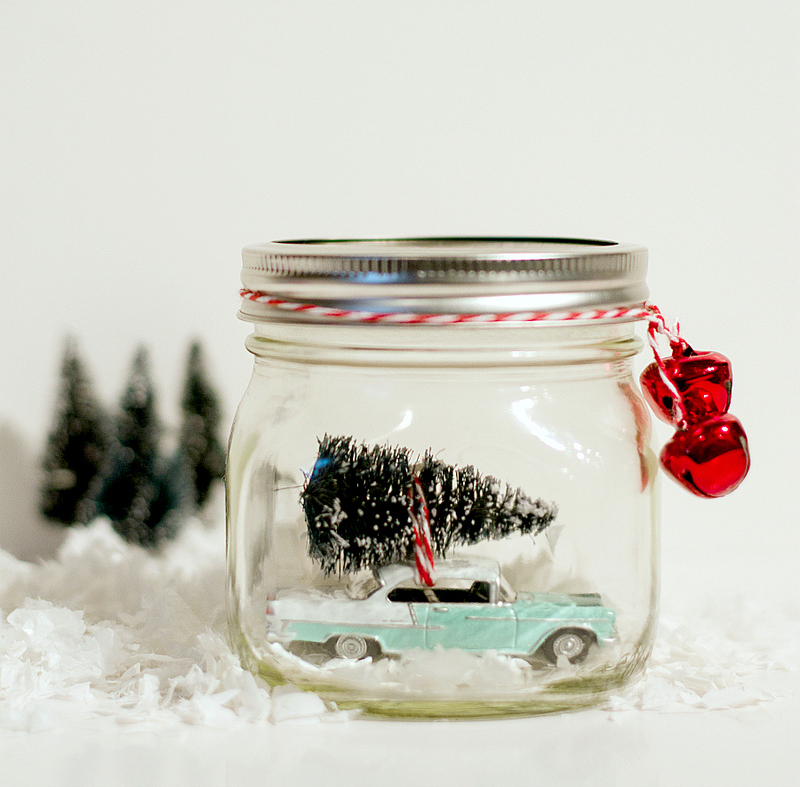 Sorry you’re not feeling the spirit…but this is just plain adorable! I love it!! 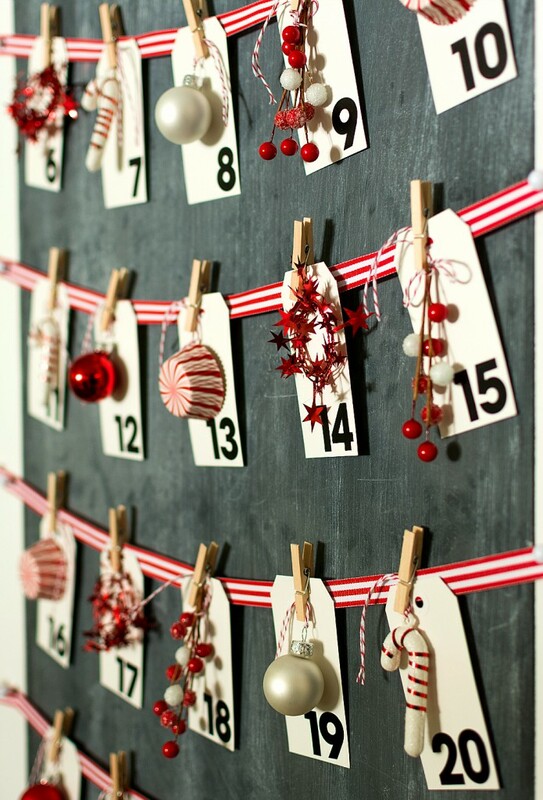 I am going to attemt to make one of these beautiful wreaths. Thanks so much for the inspiration! Just wondering how you attached the pop poms to the wreath? How much yarn did you go though? Thanks! Linda, I totally hear you – my Christmas spirit has gone AWOL this year too. I don’t know why – might be because the only family I have to celebrate with now is my dad (well, and hubby too! ), and as much as I love my dad, it’s not the same as having Christmas dinner with my whole family. Hi Linda, I absolutely love this. I would say you have certainly got your Christmas mojo on this one. I am pinning this for my daughter. Headed over to the tutorial for the pompoms. I am in serious love with these! Thanks for linking up, featuring next week. Great job Linda! I absolutely want to try this! Maybe for my winter wreath? What is with this Christmas season…so many of those who I see and talk to are either so far behind in the Christmas tasks or just scaling down….for me…I am behind…waaay behind….but your pom pom wreath just made me smile and the encouragement to carry on….love, love the wreath…it is so “happy”…. What a great wreath. I’m a sucker for pom poms. I especially like the subtle colors. Man I like that wreath. And MAN I know exactly what you mean. There are so many reasons that I have apprehensions about the holidays. One of them is 2200 miles of driving. The other is how conflicted I feel about all the focus on THINGS. And getting things. And shopping, which I hate. But shopping would be fun if I just wasn’t so dang conflicted…And worst of all I was supposed to be in Chicago this week having coffee with you, but I didn’t get to go, and I’m bummed about that. And what on earth do I give my 26 year old son for Christmas????? you know I love this! thank you so much for linking it up to our party! this is beautiful! stopping by from show and share… love this wreath! I totally get what you’re saying. Some years are just like that. This year is one of those years for me, too. Linda!! LOVE THIS!!! But then again, I love all things Anthropologie 🙂 Just finding your blog so glad I did! HUGS! This is such a cute wreath! Now that the holidays are over, I think I might have time to make one…..lol! I’m really into pom poms lately (I guess everyone is). I can’t wait to try out a wreath with them. Thanks for sharing! Have a great day! I don’t comment much but kudos to you! 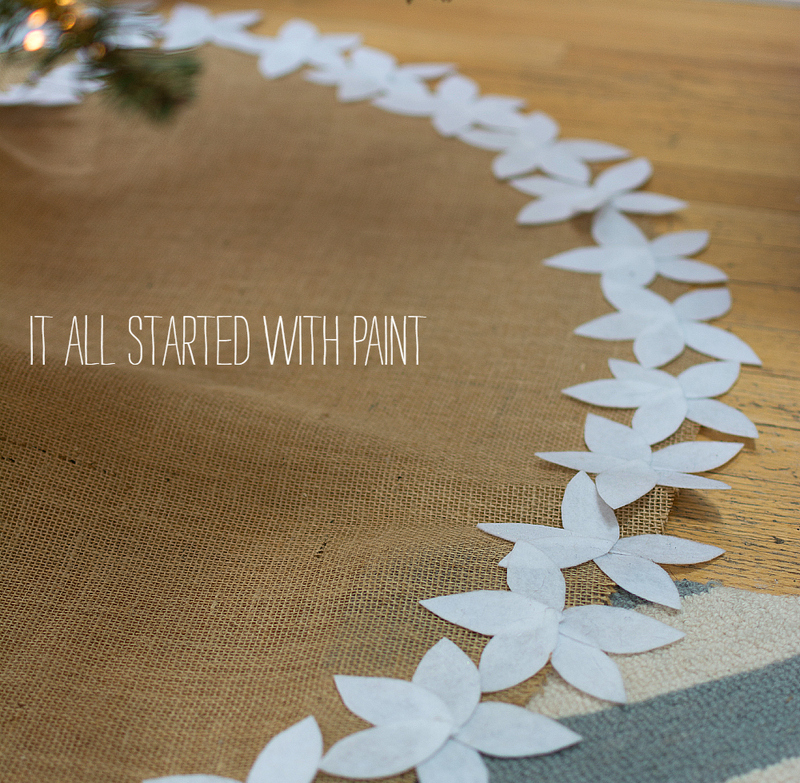 Hands down, your wreath is leaps and bounds better than the original. They should hack yours! Seriously, yours looks more lush, more fun and more realistic. Hi! Love this wreath! 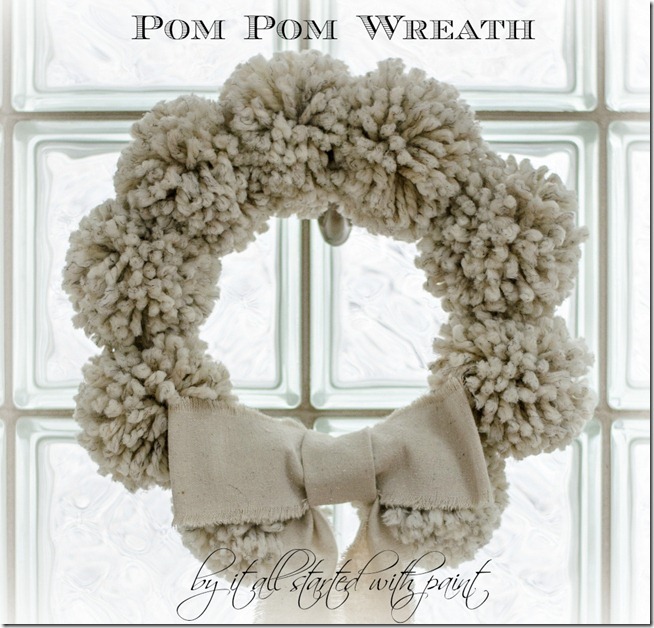 Can you tell me how you attached the poms poms to the wreath? Are they tied on or glued on….? Thanks so much! Would love to know how to make that pompom wreath step by step! It is beautiful! There are links in the the post that you can follow to find all the details! Did I miss how you attached your pom poms? 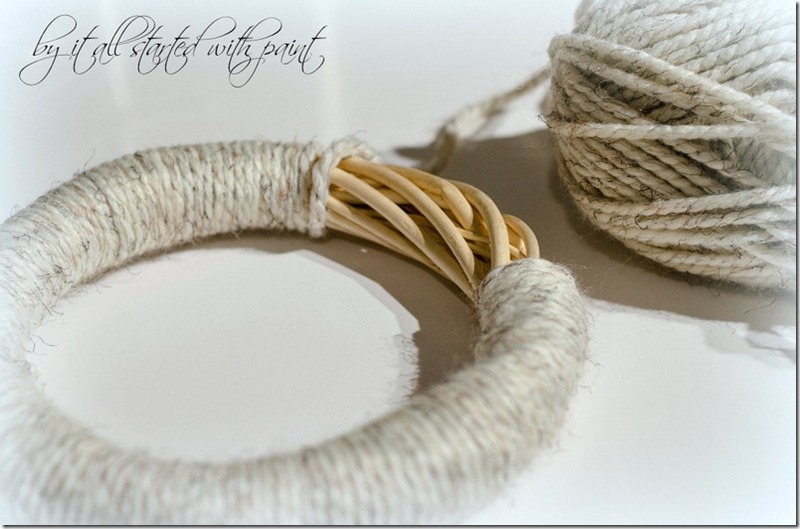 I just tied them on with the length of yarn that I used to tie the individual pieces of yarn together.